After a brief Q&A, we’ll open the mic for others. There will be snacks, refreshments and door prizes!. 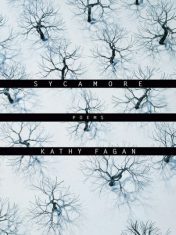 Kathy Fagan received an MFA from Columbia University and a PhD in English from the University of Utah. 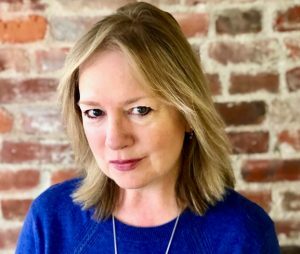 She is the author of five books of poetry: Lip (2009); The Charm (2002); MOVING & ST RAGE (1999), winner of the 1998 Vassar Miller Prize for Poetry; and The Raft (1985), winner of the National Poetry Series. Her latest collection is Sycamore (Milkweed Editions, 2017). Fagan is the recipient of fellowships from the Ingram Merrill Foundation, the National Endowment for the Arts, and the Ohio Arts Council. She is a professor of English at Ohio State University, the poetry editor of OSU Press, and advisor to The Journal. Please visit CPL’s online public access catalog to reserve books by Kathy Fagan. Sponsored by the Ohio Center for the Book at Cleveland Public Library. For more information contact us at literature@cpl.org or call 216-623-2881.